Watching the blue moon rise, a flock of birds flew across the scene reminding me that migration season is upon us and fall is just a few weeks away. The landscape will change from green to shades of orange, red and yellow, but for now I’m thinking blue. I searched for blue flowers to compliment the feeling of tranquility–that the moon will rise and the birds will begin their migration this time of year. FULL MOON ON THE RISE! Friday, April 6, 2012, at approximately 09:18:42 pm. 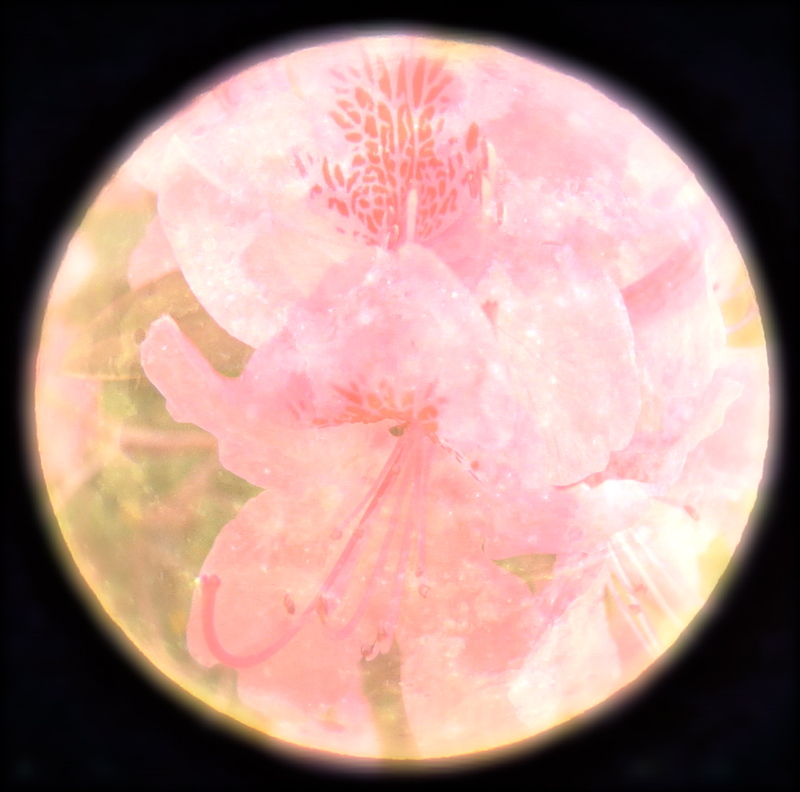 The April full moon is also known as the Full Pink Moon, which was named for the herb moss pink, or wild ground phlox, one of the earliest flowers of the spring. Many other pink flowers bloom in April as well as blossoms on the trees. In just a short walk around the neighborhood, I was able to photograph nature’s many variations of pink.